Paving breakers offer a rugged and reliable tool for whatever task you may have for them. Paving breakers are most commonly available in 30lb, 40lb, 60lb, and 90lb options. All paving breakers use a Hex steel in various sizes. Points, chisels, and asphalt cutters are the most commonly used. Their "T" handle design makes these tools most useful for normal standing applications, not horizontal or overhead work. Mufflers are available to help deaden noise. 30 and 40 pound hammers are the perfect size and weight for light to medium jobs. Clay Diggers and Trench Diggers specialize in digging packed soil and clay from around forms, footers, or any other construction area. Clay Diggers are "D" handle tools for easy 1-handed operation in tight spaces. 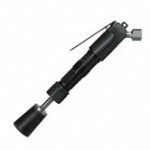 Trench diggers offer the comfort and control of a T-handle. Rock Drills are offering in a wide range of weights to suit your job - from 8lbs to 60lbs. We offer multiple rock drills for a wide variety of applications, whether you are drilling through rock, concrete, or brick. Multiple sizes of bits are available, from 5/16" to 3"+. The Toku TJ-20 and TJ-15 are mid-sized rock drills that are great for road building, shaft sinking, quarrying, as well as general demolition or construction work. 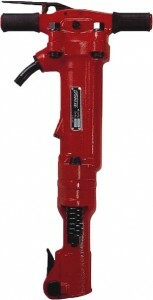 The Toku THD-1100N is a lightweight drill that is able to get into smaller spaces other drills cannot. This D-handled drill packs big power in a compact package. Rivet busters are the ideal tool for any mid-sized demolition job. They perform under the toughest conditions, whether you’re demolishing bridge decks, parking garages, ripping tanks, cutting rivet heads, or any demolition work. The Rivet Busters are available in goose-neck or D-handles, and are available for either small buster or jumbo buster steel. Rivet busters mostly use points or chisels. 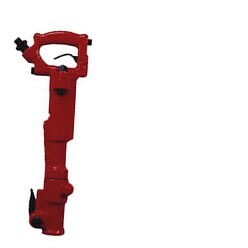 Chipping hammers have 2 distinct types of tools - "Gooseneck" and "4-Bolt" Style tools. Gooseneck and 4-Bolt refer to the handle style of the tool. These are chosen by the operator on preference. The Gooseneck tool will weigh just a bit less Than their 4-Bolt counterpart. Chipping hammers are available in different stroke lengths. Longer stroke length means more power, but less blows per minute. 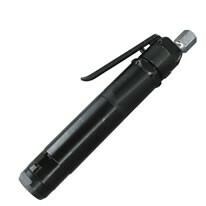 4-Bolt Style tools are very popular in rental because of their reliability. The "D" handle design allows for 1 handed use and compact size makes it easy to fit in confined spaces. 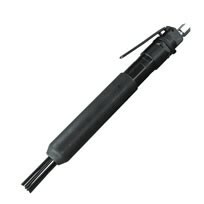 Weld Flux and Needle Scalers are used for descaling tanks and metal, and removing small amounts of concrete. Weld scalers use chisels, whereas needle scalers use a set of needles for impacting surfaces. 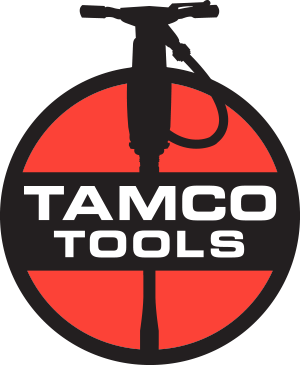 Weld scalers convert to needle scalers quickly and easily. best used in applications with more room. See these are more Here!